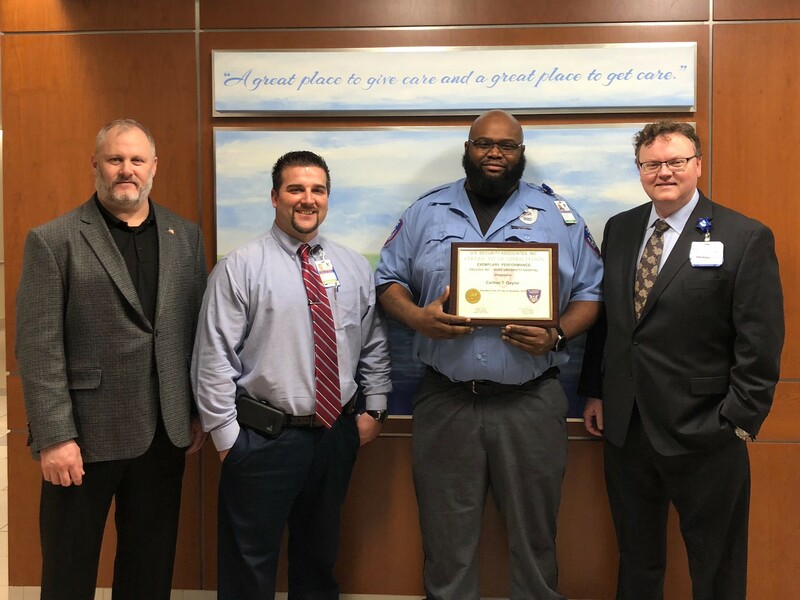 Carlton Gaylor, a Duke Raleigh Hospital security officer, was awarded a certificate of appreciation for exemplary performance from U.S. Security Associates this month. The honor recognizes his efforts to go above and beyond to help the caregiver of a patient admitted to Duke Raleigh. During a small ceremony at the hospital, administration recognized Gaylor with the plaque—noting that in this instance he was more than a security officer, he was a great human being.